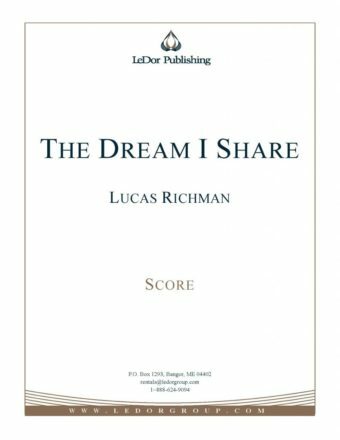 The Dream I Share honors generations of women through a musical depiction of one woman’s life journey. The words of poet and journalist Betty Donahey frame the life of a woman progressing from the dramatically innocent college years to the more grounded reality of marriage and motherhood, and then on into the twilight years’ understanding and acceptance of a life well-lived. This work is a perfect addition to any Mother’s Day concert or other programs celebrating women!